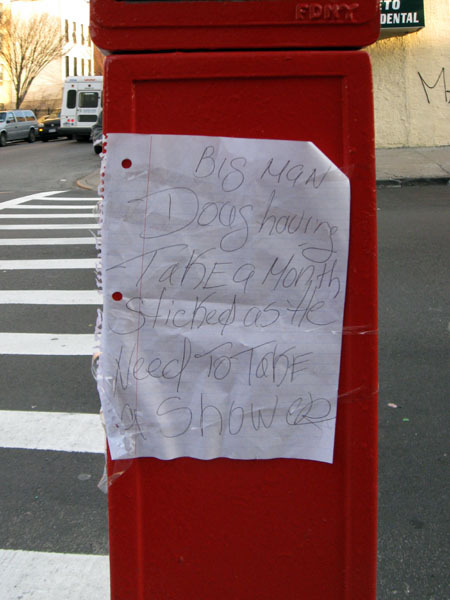 If “Big Man Doug” of Bleecker is reading this, the word on the street is it’s time for you to practice a little more personal hygiene. Or would that be any personal hygiene at all? One month is a very long time, Doug. Don’t be stingy with the soap.